Most people when they go to Toscana, they always go to the traditional cities: Firenze, Siena, Pisa, Lucca, etc… Obviously these are cities that you have to have seen. But if you would ever go to Tuscany and want to discover something new, not too touristy, you should really check out the south of Tuscany. I’ll start with my personal favorite, Saturnia. This city is mostly known for its hot water source. It is said that the water is really good for your skin. I think I should also mention that the water has a sulfur (zwavel) smell, basically it smells like rotten eggs … But everything for a soft skin 😉 . 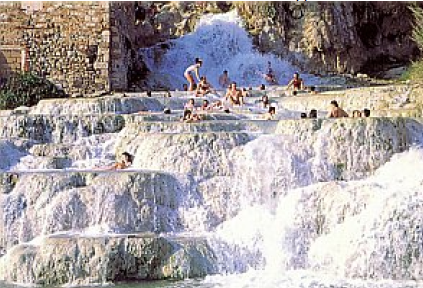 You can either go to the “Terme di Saturnia”, a luxurious SPA, to enjoy the warm water or you can go to the natural source with its waterfall. When I was in Saturnia, I stayed at Hotel Villa Clodia, a nice small family hotel. From the rooms you have a nice view over the valley (as saturnia “town” is a little bit uphill ) and a few steps from the main square (only square) of the village. My parents and some friends stayed at a Different hotel, which is about 5 min away from Saturnia. They stayed at the “Relais villa AcquaViva” . A romantic hotel surrounded by vineyards and olive tries, an ideal place for relaxing. A really nice restaurant in Saturnia would be “I Due Cippi”. But don’t hesitate to ask at the hotel where you should go to have a good meal. Going to small local trattoria’s is the best one can do when staying in Italy . 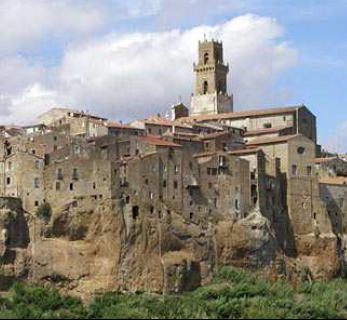 A village you should also visit, is Pitigliano. This is a town that stands on an tuff hill, really picturesque. We had lunch at Il Tufo Alegro. 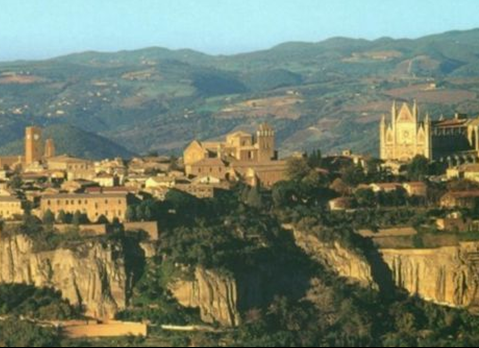 The most famous town of southern Tuscany will without any doubt Orvieto, it is known for its famous white wine. Already when driving towards this town you can see its beauty. Before for lunch we enjoyed a nice glass of Orvieto on a sunny terrace. 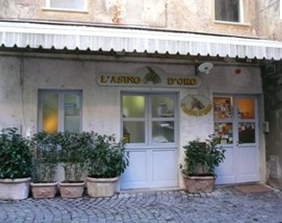 We had lunch at ‘L’asino d’oro’ (Vicolo del Popolo 9, 05018 Orvieto), what actually means golden donkey in English. Again like always we enjoyed the wonderfull local dishes… I got this tip from my mom and dad. ← Breakfast…The most important meal of the day!